CONNECTIVE TISSUE Red Blood Cells – Most abundant cells in blood. -SUPPLIES CELLS WITH OXYGEN – HEMOGLOBIN is the PROTEIN that gives red blood cells their color and binds oxygen. (NO NUCLEUS – live about 4 months ) White Blood Cells – Fight pathogens (things that make you sick) Platelets – pieces of larger cells. Form blood clots to stop bleeding. Clump together to “plug” damaged areas (last 5-10 days). Arteries – Carry Blood from the heart to the body. Thick walls that contain layers of smooth muscle. Must be strong to withstand blood pressure. Capillaries – Smallest Blood vessels (1/10 size of width of a hair) so blood cells must pass 1 at a time! Walls are only 1 cell thick. No cell in the body is more than 3-4 cells away from a capillary. Veins – Take blood back to the heart from the body. 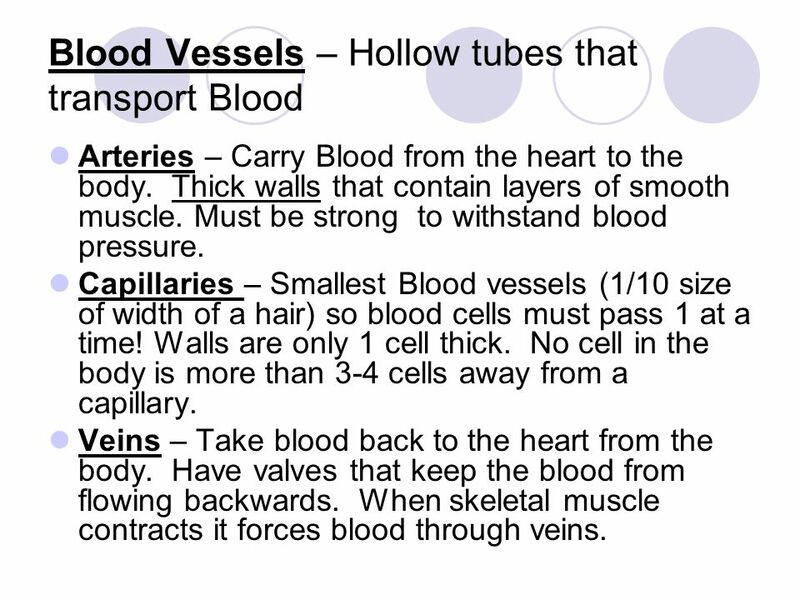 Have valves that keep the blood from flowing backwards. When skeletal muscle contracts it forces blood through veins. 6 Blood Flow Lungs – Heart – Arteries – Capillaries – Cells – Capillaries – Veins – Heart – Lungs Pulmonary Circulation – of blood between the heart and lungs. 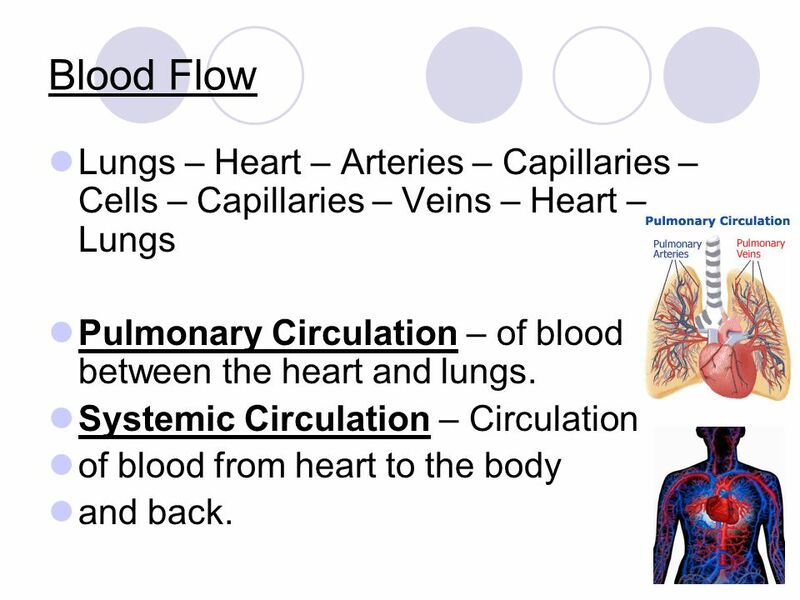 Systemic Circulation – Circulation of blood from heart to the body and back. 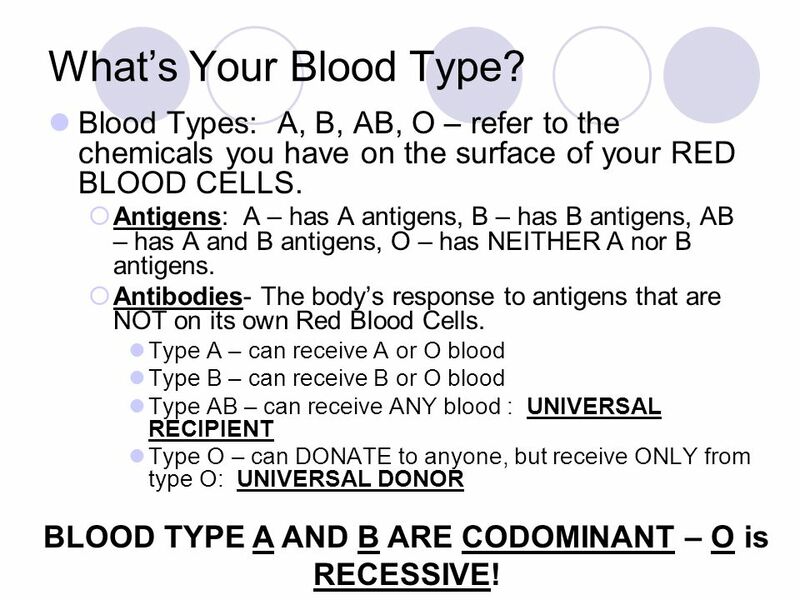 8 BLOOD TYPE A AND B ARE CODOMINANT – O is RECESSIVE! What’s Your Blood Type? 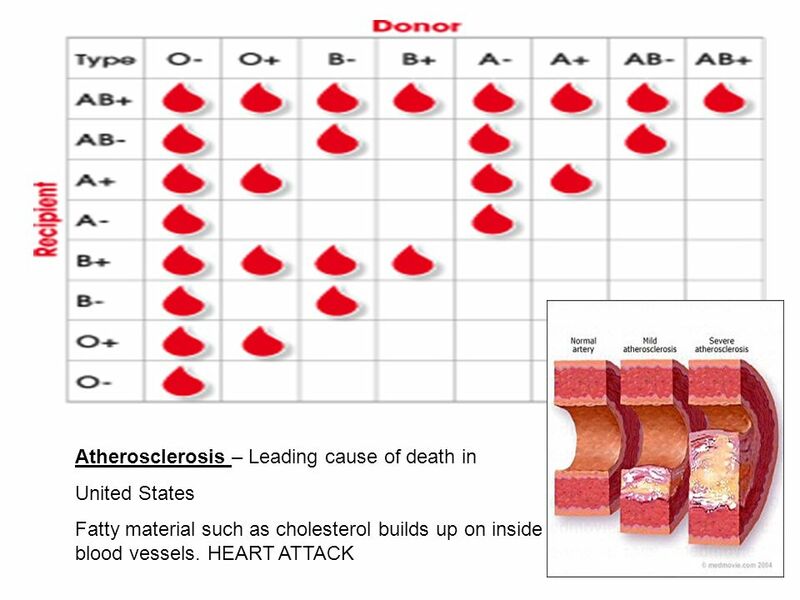 Blood Types: A, B, AB, O – refer to the chemicals you have on the surface of your RED BLOOD CELLS. Antigens: A – has A antigens, B – has B antigens, AB – has A and B antigens, O – has NEITHER A nor B antigens. Antibodies- The body’s response to antigens that are NOT on its own Red Blood Cells. Type A – can receive A or O blood Type B – can receive B or O blood Type AB – can receive ANY blood : UNIVERSAL RECIPIENT Type O – can DONATE to anyone, but receive ONLY from type O: UNIVERSAL DONOR BLOOD TYPE A AND B ARE CODOMINANT – O is RECESSIVE! 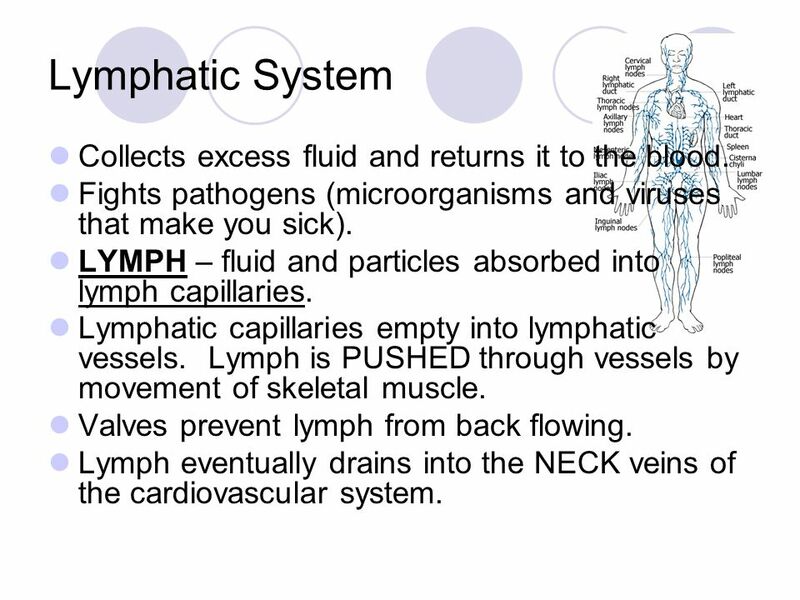 10 Lymphatic System Collects excess fluid and returns it to the blood. Fights pathogens (microorganisms and viruses that make you sick). LYMPH – fluid and particles absorbed into lymph capillaries. Lymphatic capillaries empty into lymphatic vessels. Lymph is PUSHED through vessels by movement of skeletal muscle. Valves prevent lymph from back flowing. Lymph eventually drains into the NECK veins of the cardiovascular system. 11 Lymphatic Organs Lymph Nodes – small bean-shaped organs where particles such as pathogens and dead cells are removed from the lymph. 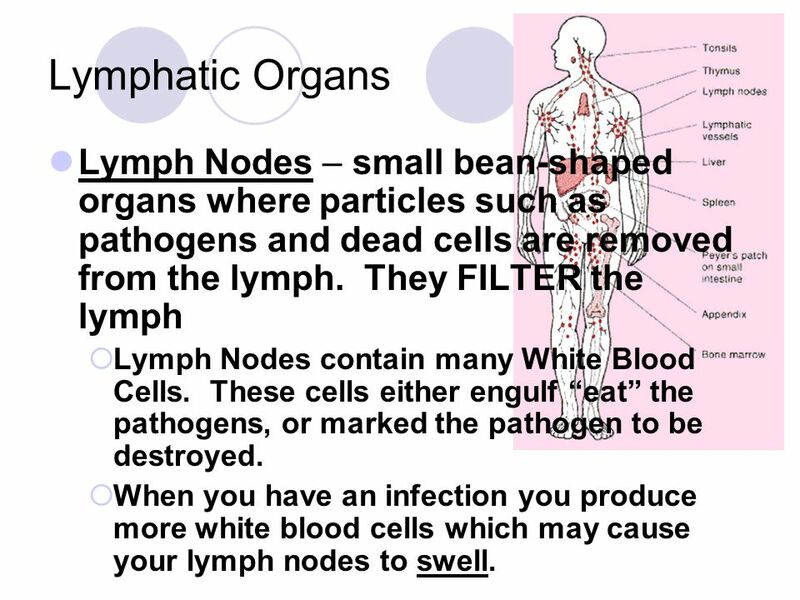 They FILTER the lymph Lymph Nodes contain many White Blood Cells. These cells either engulf “eat” the pathogens, or marked the pathogen to be destroyed. When you have an infection you produce more white blood cells which may cause your lymph nodes to swell. 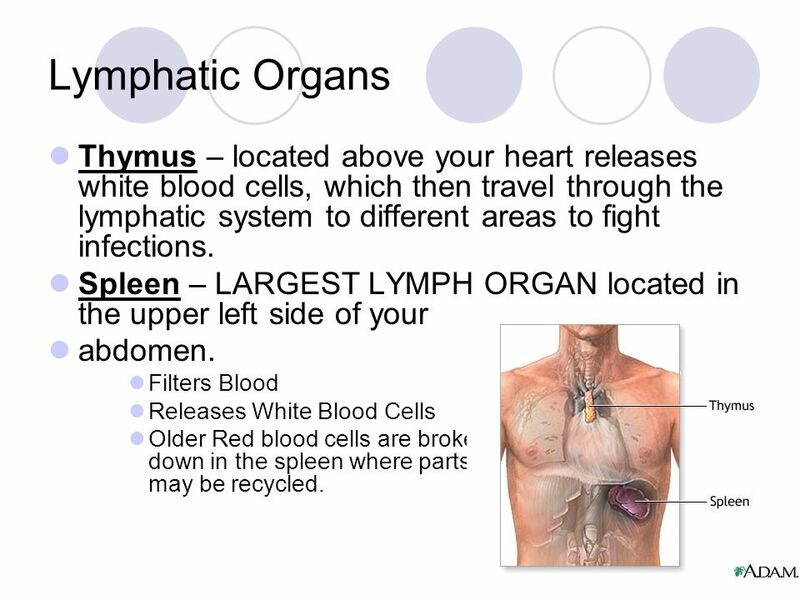 12 Lymphatic Organs Thymus – located above your heart releases white blood cells, which then travel through the lymphatic system to different areas to fight infections. Spleen – LARGEST LYMPH ORGAN located in the upper left side of your abdomen. 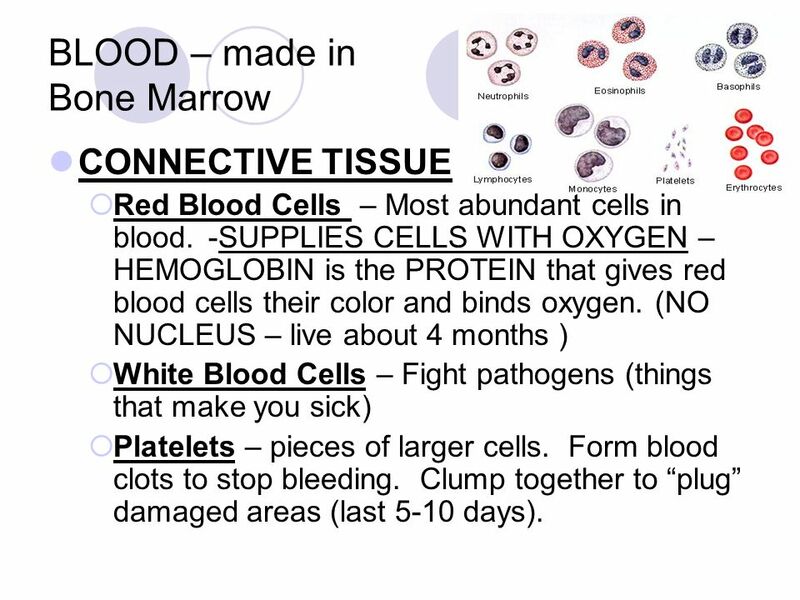 Filters Blood Releases White Blood Cells Older Red blood cells are broken down in the spleen where parts of them may be recycled. tissue located at the back of your nasal cavity on the inside of your mouth, and at the back of your tongue. 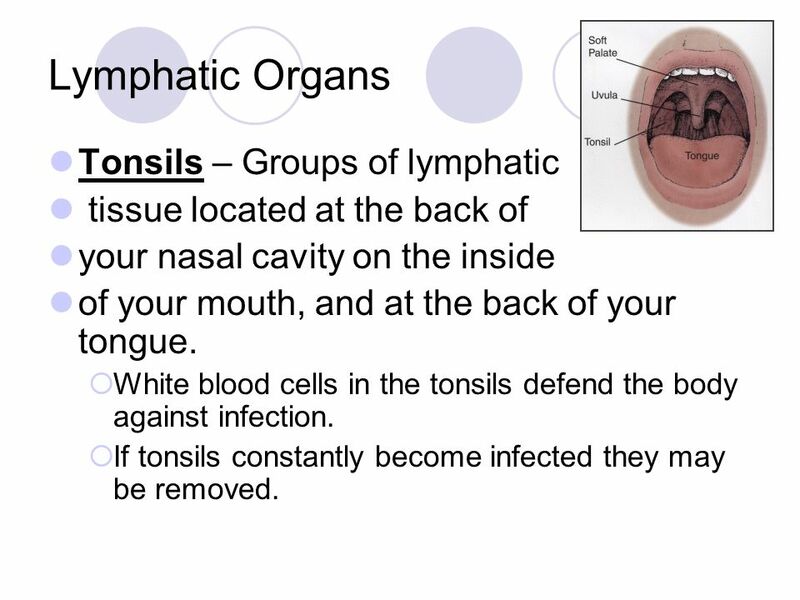 White blood cells in the tonsils defend the body against infection. If tonsils constantly become infected they may be removed. 14 Respiratory System – the system which allows you to breath. 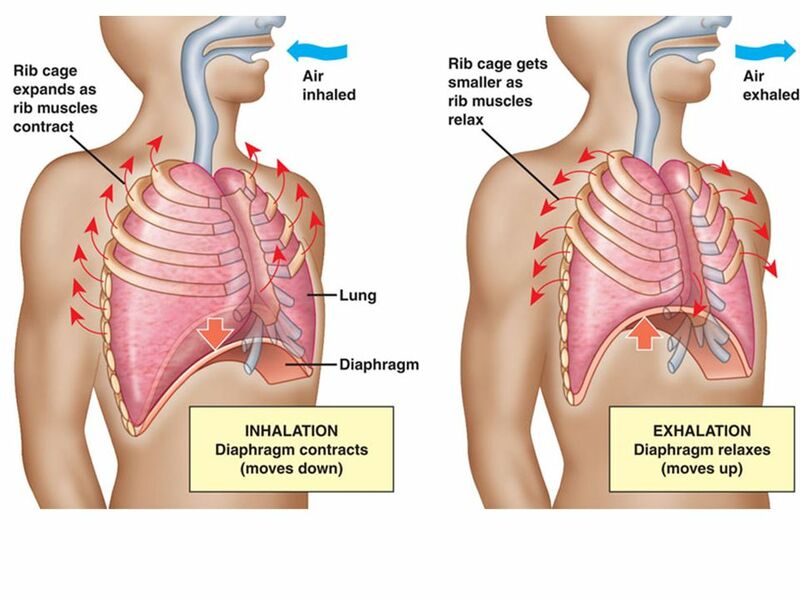 Respiration – the ENTIRE process by which a body obtains oxygen and gets rid of carbon dioxide. 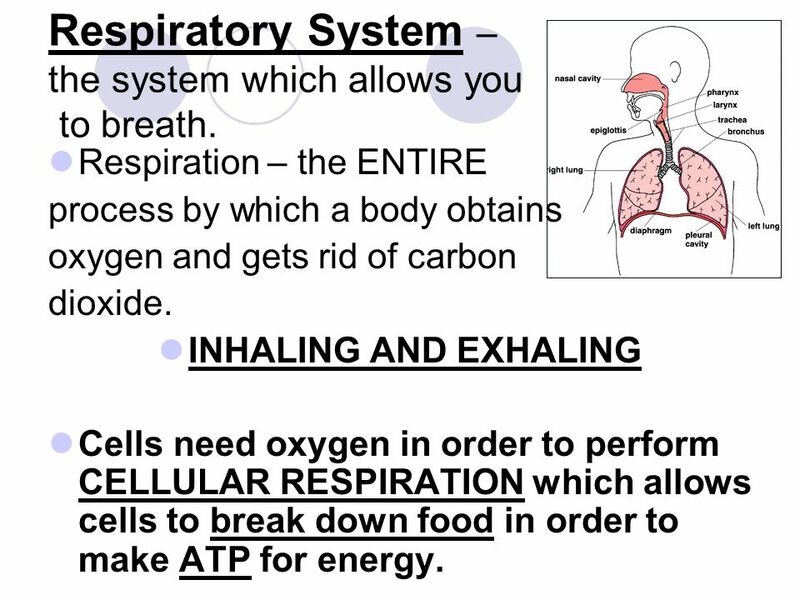 INHALING AND EXHALING Cells need oxygen in order to perform CELLULAR RESPIRATION which allows cells to break down food in order to make ATP for energy. Nose – primary passageway into and out of the respiratory system. Pharynx – (throat) leads from the nose to the larynx. Larynx – (voice box) contains the vocal cords. When air flows between the vocal cords they vibrate to make noise. Trachea – (windpipe) passageway from the larynx to the lungs Bronchi – Two tubes that split off from the trachea and lead to the lungs. Lungs – Large spongelike organs that are made of of smaller bronchiole branches which consist of tiny sacs called alveoli. 17 Breathing Diaphragm contracts and moves down allowing the lungs to expand. 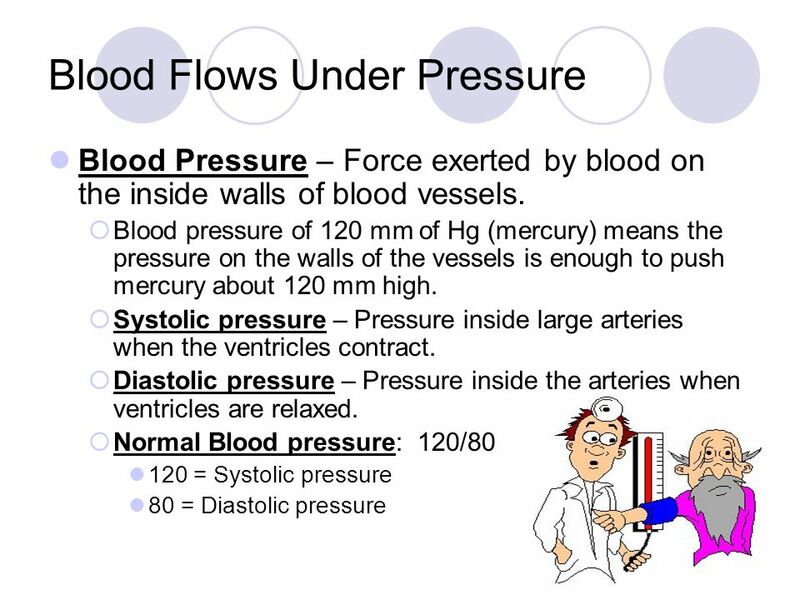 Air pressure forces oxygen into the lungs Hemoglobin in Red blood located in the capillaries which surround the alveoli absorb oxygen and release carbon dioxide. The diaphram relaxes and air (carbon dioxide) is forced out of the lungs. 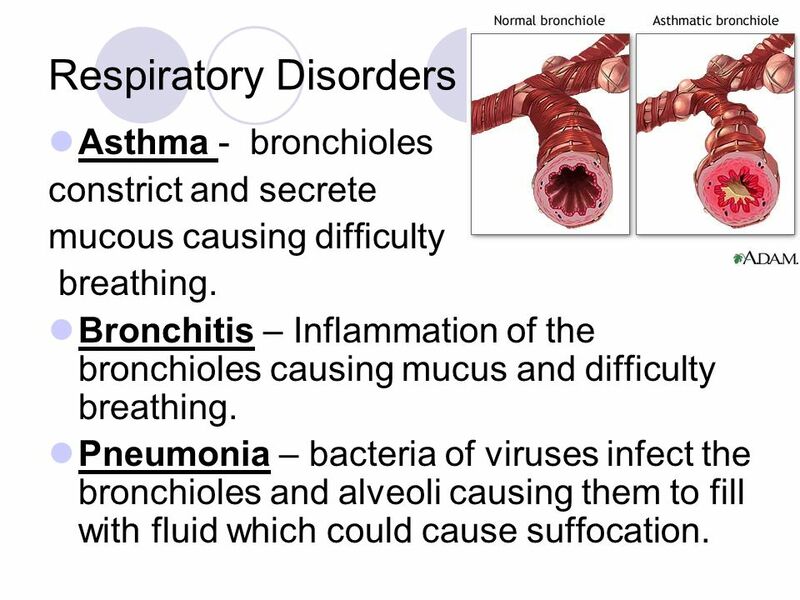 Asthma - bronchioles constrict and secrete mucous causing difficulty breathing. Bronchitis – Inflammation of the bronchioles causing mucus and difficulty breathing. Pneumonia – bacteria of viruses infect the bronchioles and alveoli causing them to fill with fluid which could cause suffocation. 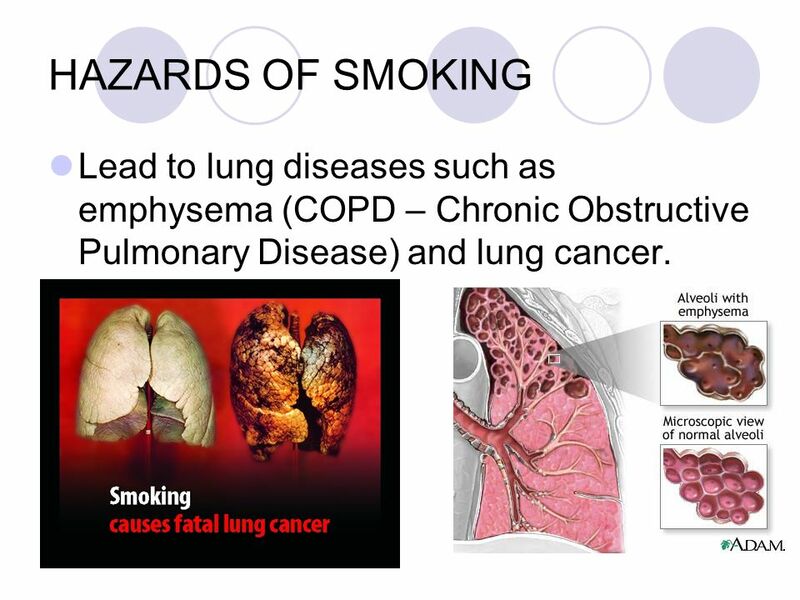 19 HAZARDS OF SMOKING Lead to lung diseases such as emphysema (COPD – Chronic Obstructive Pulmonary Disease) and lung cancer. 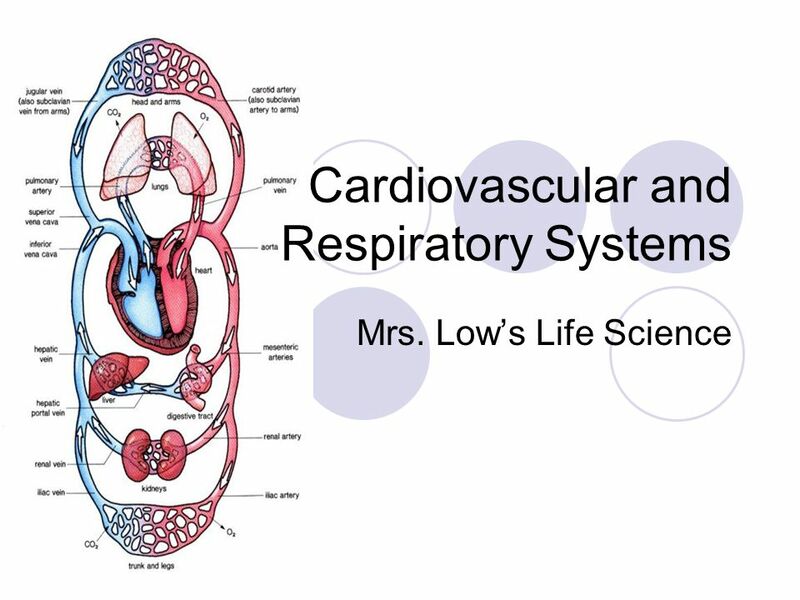 Download ppt "Cardiovascular and Respiratory Systems"
Circulatory System Chapter 37. Circulatory System Why do we need one? ◦Diffusion is too slow for large multicellular organisms. They need a transport. Circulatory and Respiratory Systems Bio 250. The Circulatory System The Circulatory system consists of two systems: –Cardiovascular system – composed. Respiratory System. 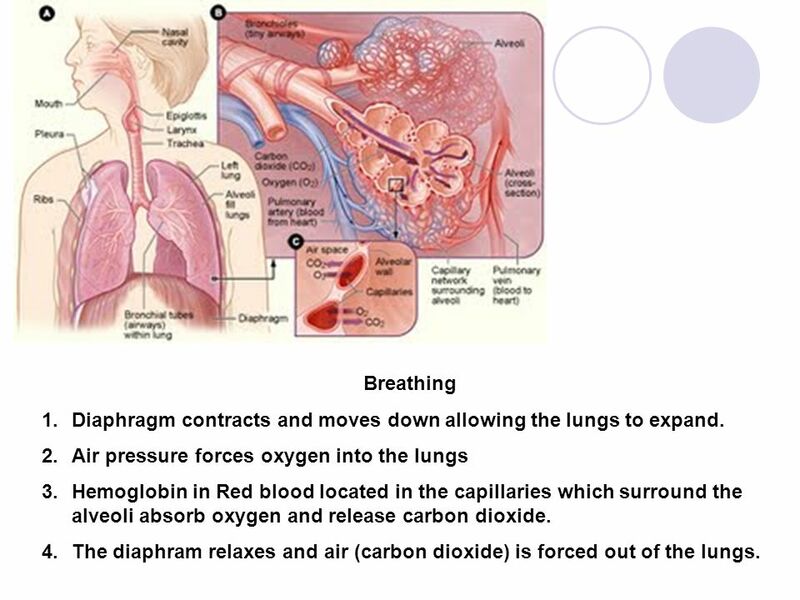 Respiratory System Note guide page 556 – 559 Out with the bad air, in with the good Why do you need oxygen? To obtain energy from. 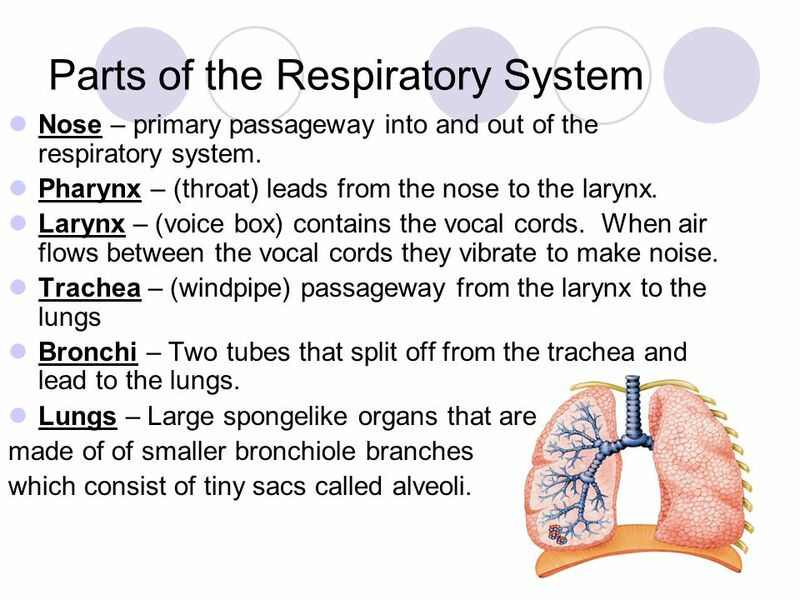 Respiratory System The respiratory system is the body system that provides body cells with oxygen and removes carbon dioxide that cells produce as waste. 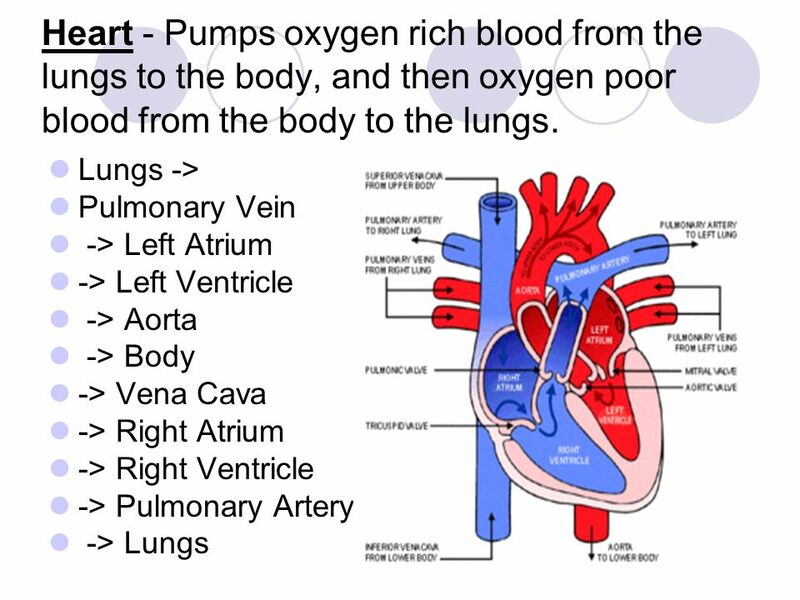 Chapter 16 Cardiovascular & Respiratory Systems. 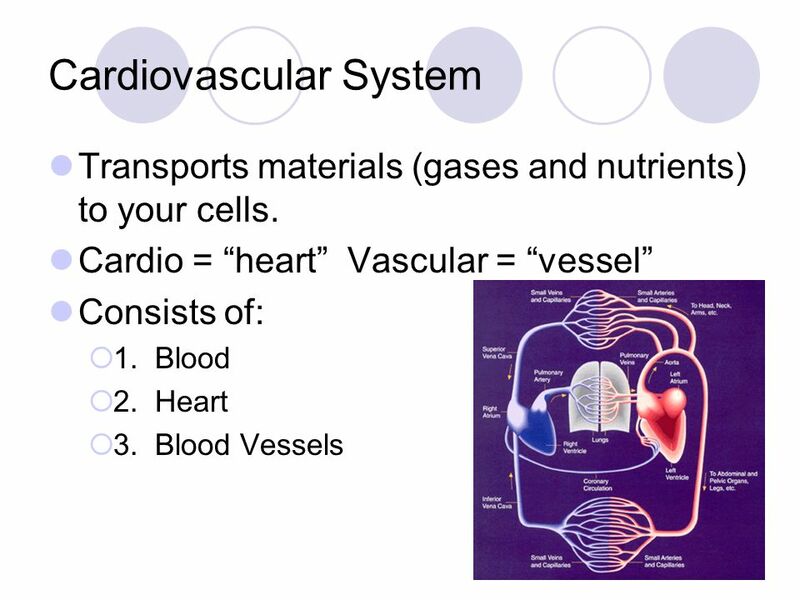 Functions of the cardiovascular system Composed of the _______ & all blood vessels of the body Composed. Why do we need a circulatory system?